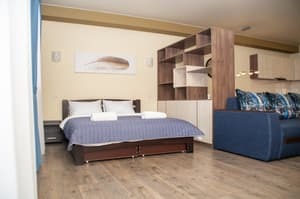 The large closed area of ​​our hotel with free parking makes Prestige Apartments a unique recreation center for the city of Dnipro. 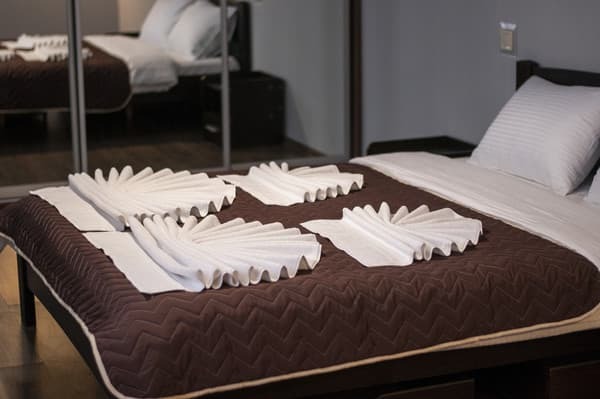 The hotel is provided in a contemporary style with a sophisticated interior, using exclusive elements. 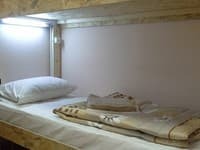 13 comfortable single or double rooms with modern amenities: high-quality furniture, plasma TV, individual air conditioning, telephone, hairdryer and safe. 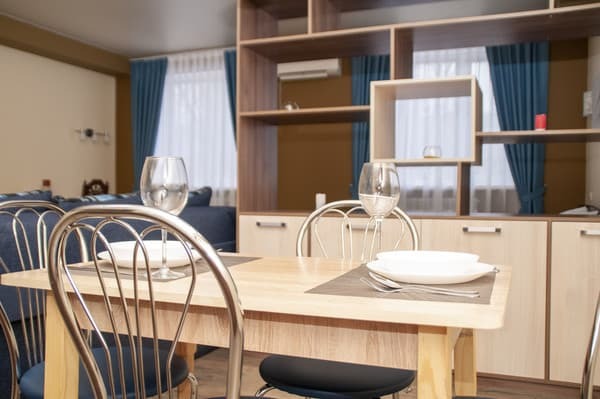 The highlight of our apartments is the presence of a full-fledged kitchen in each room, with built-in appliances that allow you to independently prepare food according to your taste and needs. And also in the bathroom of each room there is a spacious shower cubicle and a washing machine, which you can use absolutely free. This allows us to stay with us for a long period and feel comfortable, like at home. Description of the room: In our hotel it is the most rented room type. 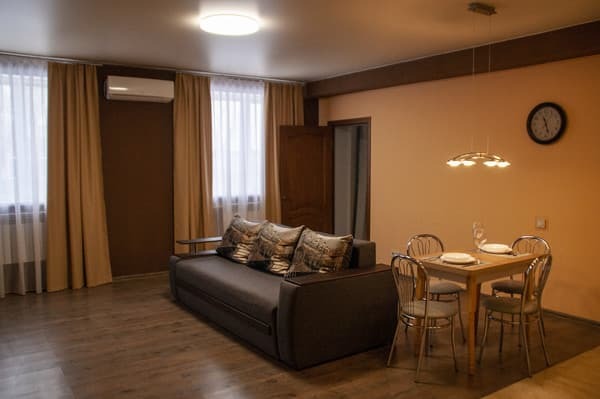 Description of the room: The room is equipped with almost all the attributes of a residential and cozy apartment. And even if something is missing, we can retrofit a room at the request of the customer with practically any equipment. Просторные номера, чисто, тепло, все работает, довольно неплохая шумоизоляция. Check arrival: from 13:00 - 00:00 hours. Check leaving: to 11:00 - 12:00 hours. Restaurants are in close proximity to the hotel. Located in a quiet area of ​​the city of Dnieper. 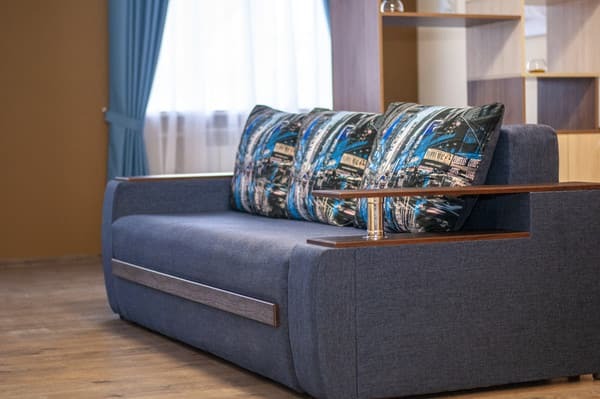 Now a cozy corner of comfortable rest can be found on the left bank of the Dnieper. It is easy to reach us by public transport.